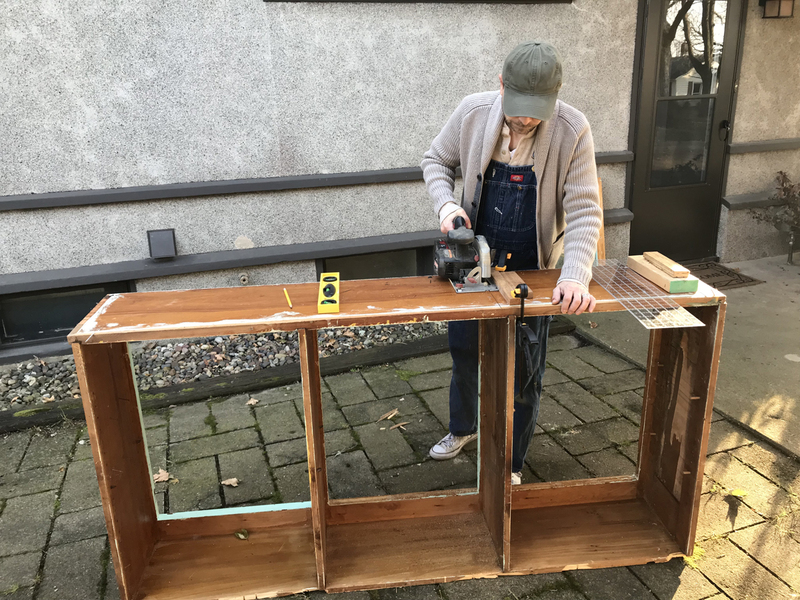 Now that we have a plan to upcycle the upper half of the original kitchen cabinetry, it’s time to roll up our sleeves and get to work. The first step in refashioning the cabinets as new fireplace built-ins is cutting this one cabinet into thirds. To be honest, this was the part of the project that had me procrastinating for so long. The thought of pulling the cabinet off the wall and cutting it into separate pieces seemed really overwhelming. I’ll do that someday but not right now, I would tell myself. Meanwhile, every time I was in the garage and would catch sight of the cabinets they would taunt me. And so, like all projects, I put it off and put it off and then awoke one morning and decided to just dive in. It turns out that I was correct in expecting the project to be difficult, but not for the reason I had anticipated. 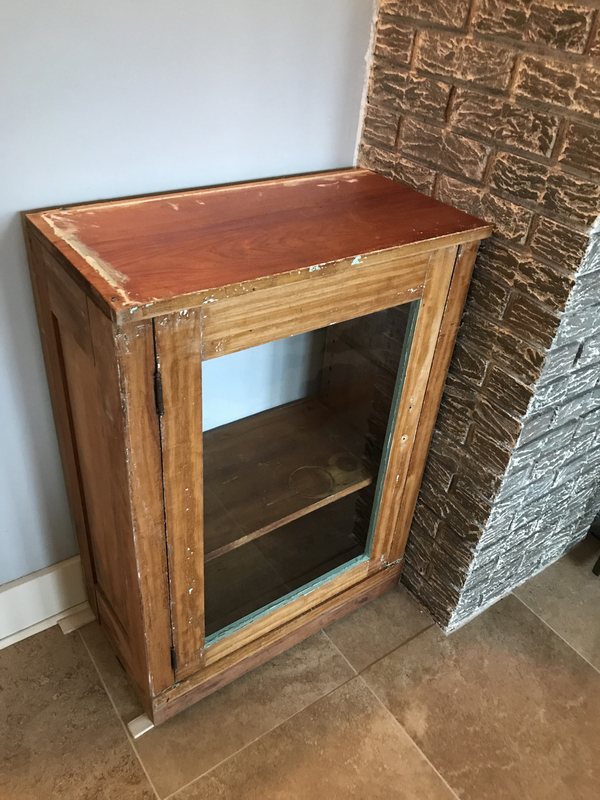 I had assumed that the upper cabinet was simply resting on a piece of a wood that was attached to the wall of the garage. Pulling it off would be easy, I thought. It’s the act of cutting it into separate pieces that would be the hard part. I was so wrong! 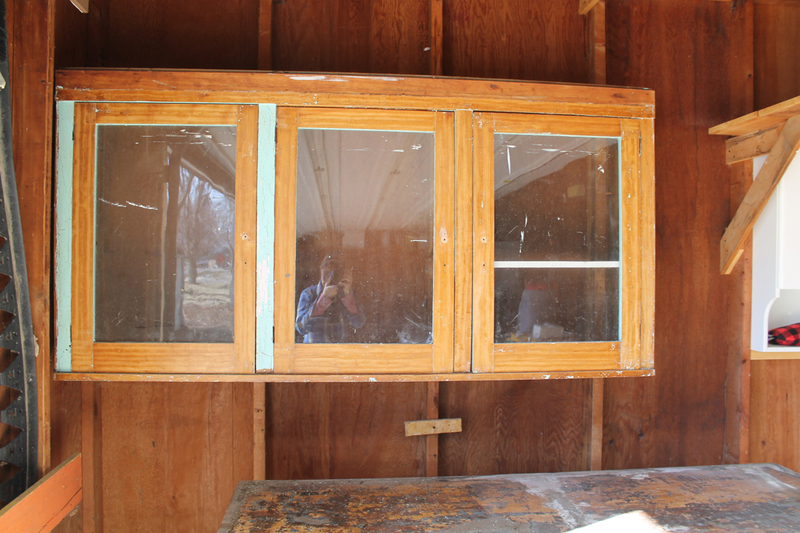 The upper cabinet was attached to the wall in a few different places with long, long nails. Prying out those nails and separating the heavy cabinet from the wall without destroying it, myself or The Mister was quite a feat! 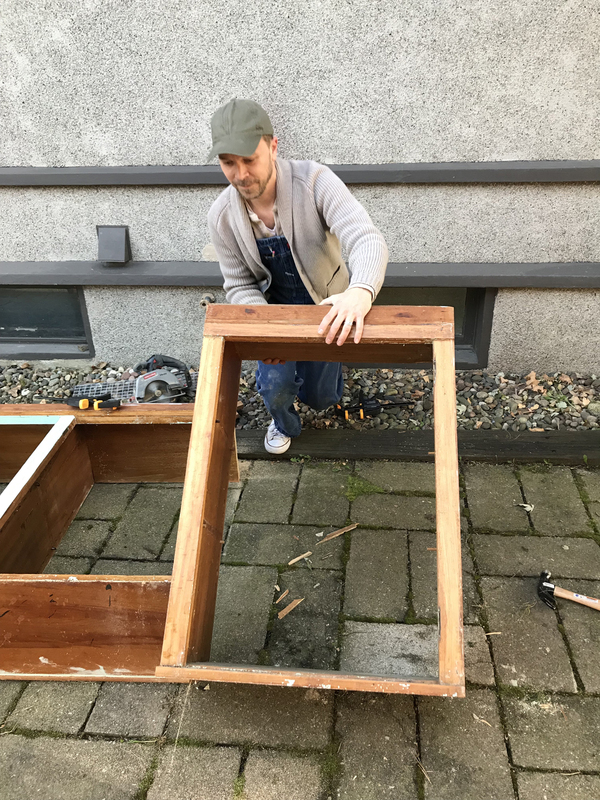 But with brute force, the power of swear words and a pry bar, we removed the cabinet from the wall and brought it outside. With the cabinet freed from the confines of the garage wall, I could finally cut it down to size. This turned out to be the easy part! I marked my lines, created guides using scrap wood and then used my circular saw to make cuts to the top and bottom of the cabinet. After the top and bottom were cut I also had to make a small cut to the front of the cabinet. Again, I drew a line where the cut would need to take place and then used scrap wood as a guide to ensure a straight cut. And just like that, one big cabinet became two! My plan had worked! We had taken this big piece of cabinetry and created one cabinet that would be the perfect size for the fireplace. Or at least I hoped it would be the perfect size. Up until this point, this whole project had been largely based on theory. 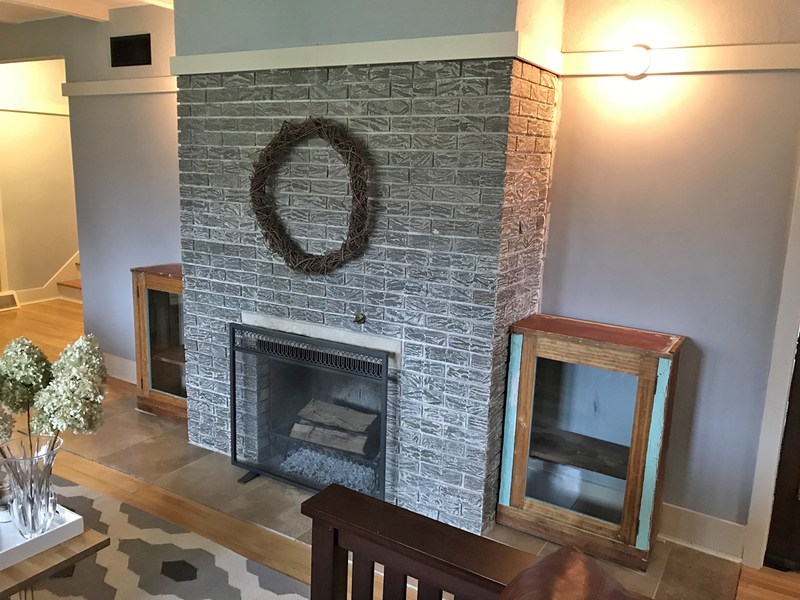 I thought the cabinetry might cut apart and look nice sitting next to the fireplace, but until the cuts had taken place I could only envision it in my mind. Now I could finally test my theory! After making those first cuts we carried the newly formed smaller cabinet into the house and set it in place. 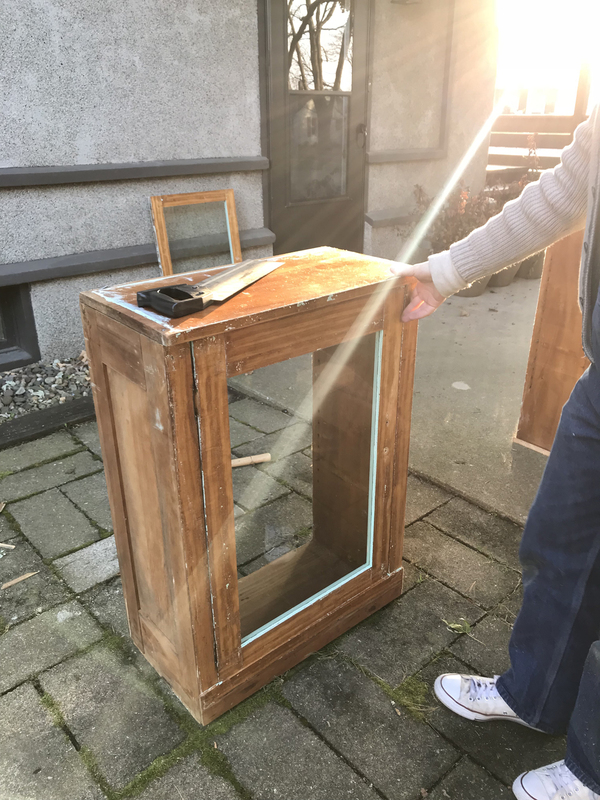 If you had been at the house that day you would have witnessed my happy dance when I first saw the cabinet in what will be its eventual home. The size is absolutely perfect! 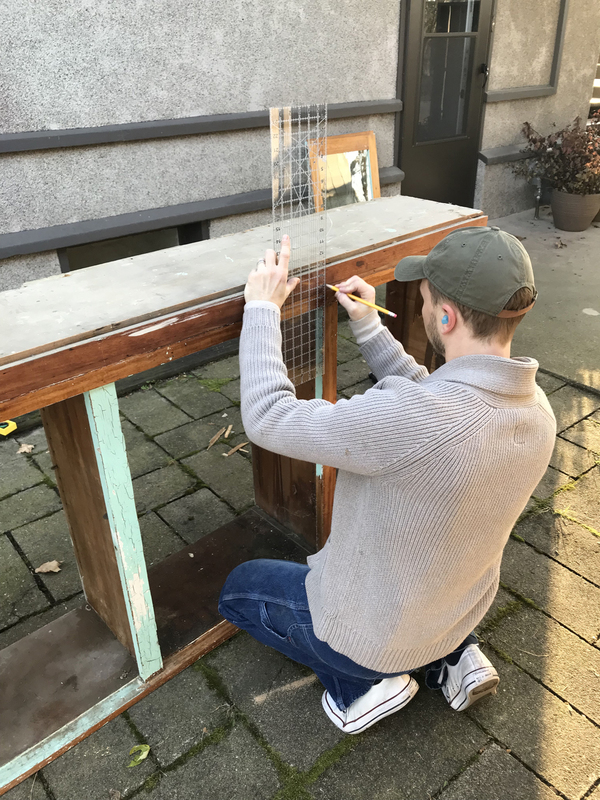 We went back outside and made the rest of the cuts to form the second cabinet for the other side of the fireplace and then brought it in the house and set it in place. Sweet, sweet success! 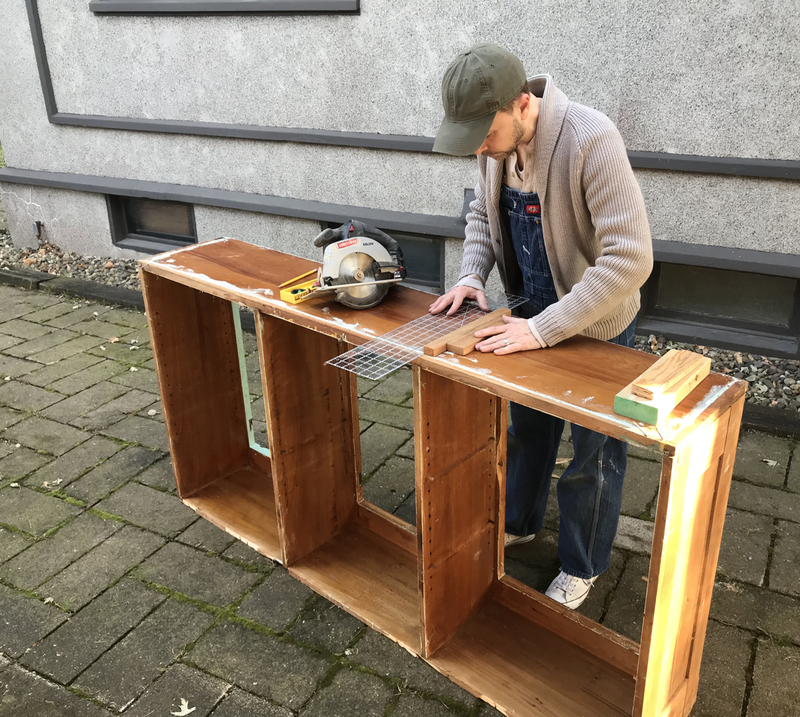 These cabinets are going to look so good in their new homes. But of course we’re only a quarter of the way to the finish line. 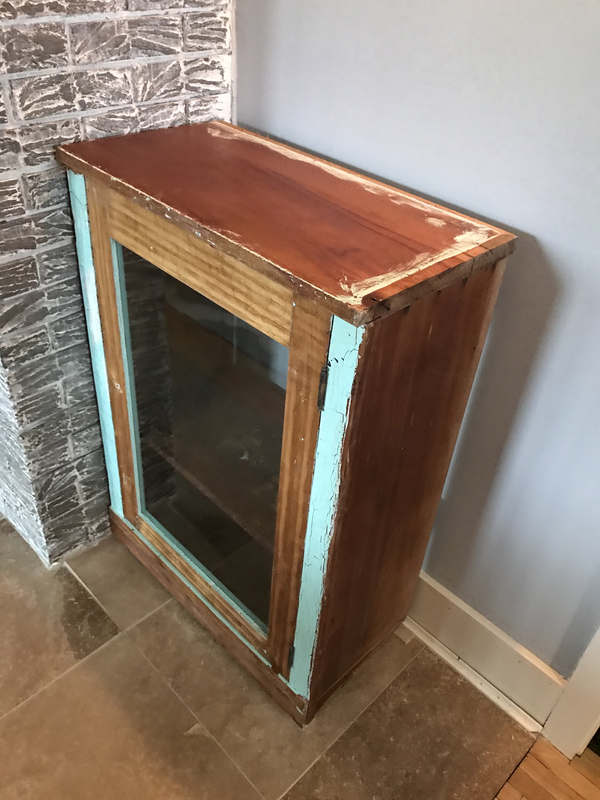 Next up, the cabinets will need to be stripped of paint and old finish, new interiors will need to be made and, lastly, they’ll need to be refinished and built in place. We’ll cover that in the next post. For now, let’s just step back and celebrate this small victory. 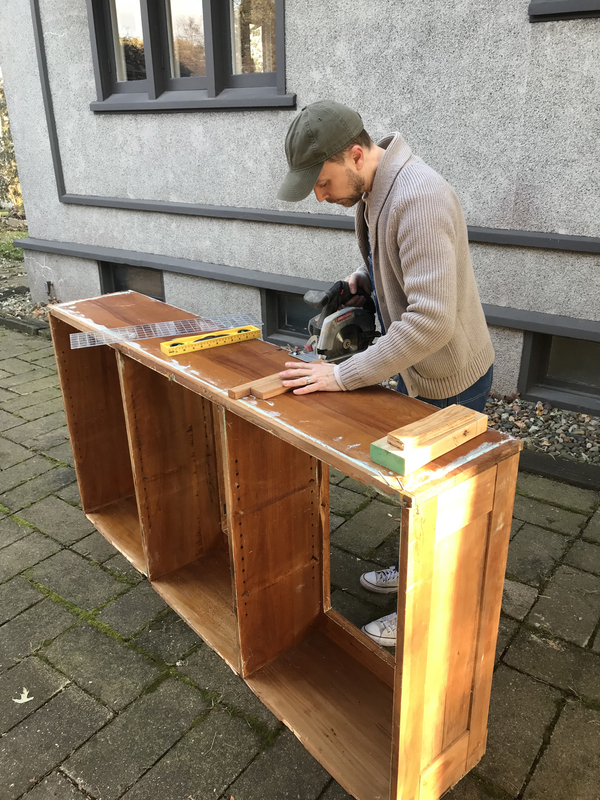 This entry was posted in DIY, furnishing, living room on 02/20/2019 by Jason.